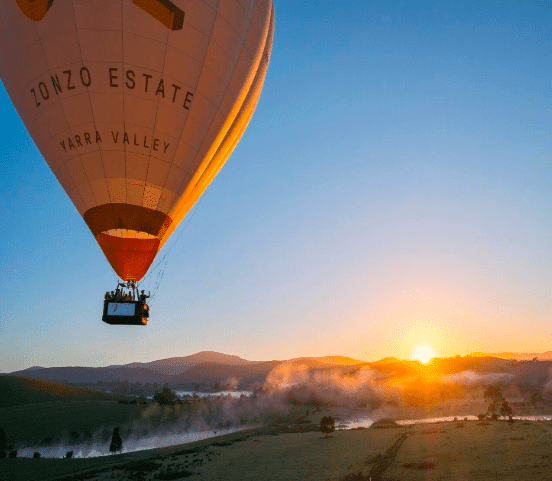 Spring-Things To Do In The Yarra Valley! | Aus Wine Tour Co.
Home>Blog>Aust Wine Tour Co news>Spring Time In The Yarra Valley! Flowers are finally in bloom. The thermometers are creeping about 15c degrees every day, and people seem to have a little more of a bounce in their step… what could these things mean? Well… Firstly, that winter is finally over, and secondly, that spring is finally here! On behalf of the team at the Australian Wine Tour Company, we’d like first of all, to congratulate you! And to offer you some tips as well as highlight some of the more magical things you can experience this springtime in the Yarra Valley! Situated in a picturesque hillside setting at Dixons Creek, Steels Gate Cellar Door and Restaurant is located just 60km from the heart of Melbourne; comprised of two handcrafted boutique vineyards within the Yarra Valley. Steels Gate Home Block Vineyard, situated at 230m above sea level was planted in the late 1970’s on an undulating slope on friable grey loam soils. Completely unirrigated and hand nurtured, surrounded by National Park. The vines are cared for by hand and the grapes carefully hand-picked at the perfect harvest time. This winery is simply perfect to visit in the Spring, and in our humble opinion, one of the true hidden gems of the beautiful Yarra Valley! In misty, leafy Hubertswood, lies the crown jewel of the Yarra Valley’s Cheesemaking family! With more than a century-old history in the dairy industry, Yarra Valley Dairy specialise in premium quality dairy and butter products, using the richest milk available to produce truly delicious farmhouse produce! Persian feta cheese made from Australian cheese. White mould goats cheeses. Bullseye hard cows milk cheese. Yarra Valley dairy is simply creating a product that people love and tastes great too, all the while- changing the landscape of cheesemaking in Australia. Visitors get to experience the farm, and as well, get to experience the magical Yarra Valley through tasting its some of their sublime and delicious products. As you can see there are so many incredible things to do in our world-famous Yarra valley- and it’s just on your doorstep! Be sure to check out some of our suggestions and spend a day or two sampling some of the best springtime activities to be found anywhere in the world. For more information on our winery tour offers and associated experiences, get in touch with the lovely team at the Australian Wine Tour Company, listed in Trip Advisor’s top 10 Winery Tour Experiences in the world!! !